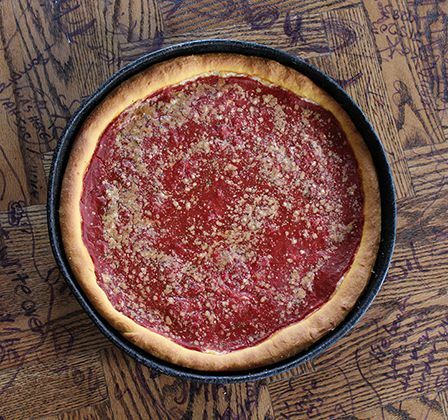 CELEBRATE THE NORTHSIDERS WITH GINO’S DEEP DISH! 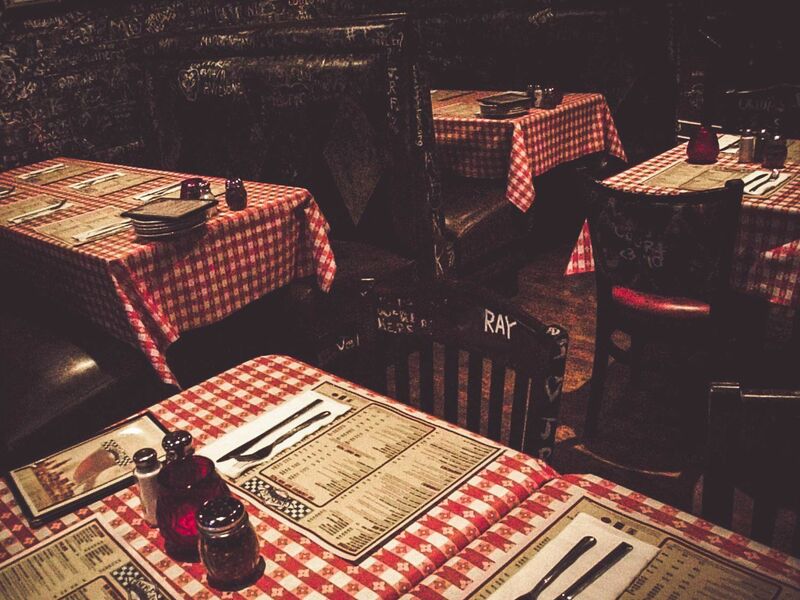 October’s here, and Gino’s is ready to celebrate a (hopefully) historic run from Kris Bryant, Jake Arrieta, Dexter Fowler, and the rest of the Northside crew. What better way to celebrate Chicago baseball than with some classic Gino’s deep dish pizza? Order online by Sunday, October 16, and we’ll guarantee you get your pizzas by Game 4, at the latest. Plus, to sweeten the deal, we’ll give you $5 off your order! 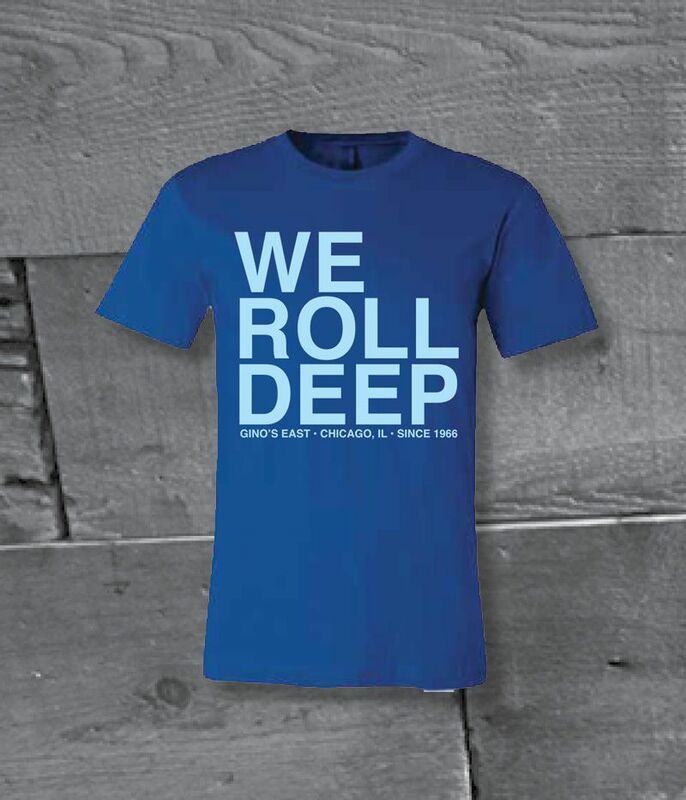 While you’re at it, check out the Gino’s East Swag Shop and deck yourself out with one of our colorful, limited edition ” “We Roll Deep” tees. They’re the perfect complement to your Chi-town sports style collection! It’s a bummer that we can’t say all the stuff we want to say about the [northside baseball team] because, you know, copyright and stuff.  But we had to show some love anyway. Go Chicago!